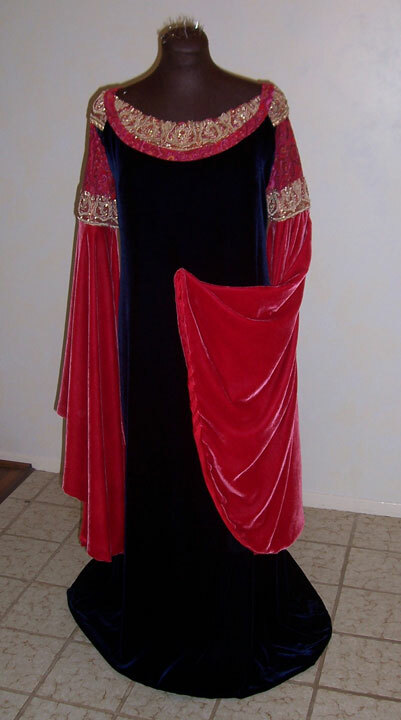 This was the first Arwen costume I saw when the first movie images came out, and the last one I made! I used midnight blue silk velvet for the jumper, navy china silk for the underdress, and I hand-dyed silk velvet for the lower sleeves. The upper sleeves and the band on the jumper are made from a paisley fabric I found at Joanns. 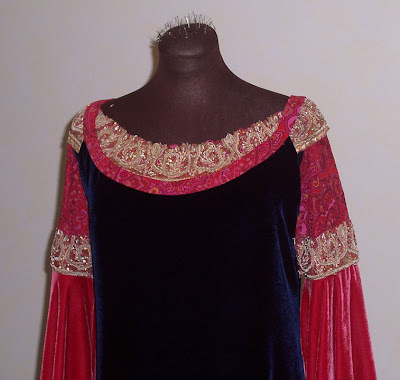 The trim is a bullion trim I bought on ebay from Suomynona Couture, who was kind enough to overdye it for me. I really need better pics of me in it. I don't love the ones I have.